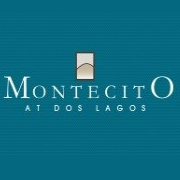 Montecito is a wonderful community! The grounds are always clean and kept up and the staff is great. The amenities and location are top notch. I love living here. Eric Jason V., thank you for your kind review; we are happy to pass along your comments to the team here at Montecito! No issues, excellent community so far. Perfect location. Good floor layouts, apartment amenities, great spot for dog owners to be able to take walks. Hello Matthew A M., we appreciate you taking the time to leave us this feedback. Thank you so much again for your feedback! We hope you have a great day! Love calling this place home. who wouldn't? Small quite community, that sit on the Dos Lagos lake side. Traffic isn't the best but it's Cali. Traffic in Cali has never been great. Kelli V., we are glad we could help! Beautiful and such a great location. The staff is very friendly and I like the smaller community and feel. It is clean and well maintained. I appreciate the pride in the property. Nathalie B., thanks for your praise and kind comments about our team. Quiet environment close to entertainment and markets. Enjoy being able to come home and walk over to restaurants and a movie. Also love the community feeling that Kelly and Jim add to Montecito. Alain G., we're happy you found our staff to be so supportive during your experience here at Montecito. I am so far very pleased with Montecito services. The management is extremely friendly and helpful. I have not had any problems so far and hopeful will not in the future either. Amtul Kafi K., your wonderful feedback and rating mean a lot to us. Outstanding staff! Always very helpful. Kelli and Jim are really the best. Great location. Centralized! Nice clean complex! It’s a great feeling to come home. Excellent magangment and maintenance team! The amenities, and location of the apartment are great! It’s new construction(2014), so the energy efficient appliances and double pane windows make my electric bill so much nicer than my previous corona apartment. Super clean and nice little community. Pretty quiet for an apartment complex. Good amenities and perfect location, we couldn't ask for anything more! I absolutely loved living here! Management was amazing and so helpful. Beautiful property and grounds. Always so clean and kept up nicely. Quiet residents too! Living in Montecito community is a positive feel added on to our everyday life. The community is very clean and safe. Haven't meet all my neighbors yet but the ones I've meet are friendly and courteous. Love this place! I feel so safe in this community and love all there is to do surrounding this community. There is a lot for my kids and I to do. Community is clean. The staff is very friendly and helpful. The location is great. It close to shopping as well as east access to the freeway. I always love and appreciate how clean the grounds are. I always feel safe due to Security being around. Great quiet neighborhood with friendly neighbors. Love this community! Jim, the maintenance guy is super helpful! Everyone here is nice. The gym is never crowded and the pool area is peaceful. I love living in this community. Anytime I have any concerns they, get addressed in a quick manner. Thanks Jim! Plugs, Managent is awesome! This is an excellent place to live. Everyone is friendly and accommodating. The amenities are also comparable to a resort. They aren’t kidding when they say “resort living”. Love it here at Montecito! The leasing office team is so incredibly helpful and nice. They never hesitate to make sure we have the most comfortable living experience. Would highly recommend! Friendly people, great atmosphere, absolutely love our new apartment! It's so close to a variety of restaurants and shops, it's perfect for us!